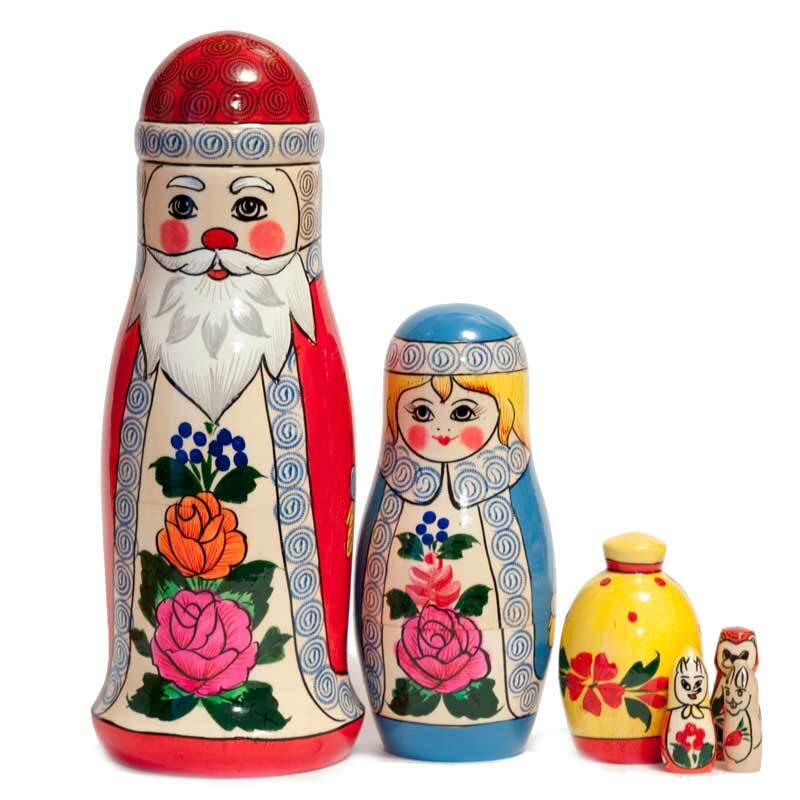 6 pieces set, size 25 cm/10"
Matryoshka Father Frost Russian Santa is painted in Semionovo style and it describes Russian Father Frost and his granddaughter Snegurochka (Snow Maiden), it is considered that in New Year eve they bring presents for children in a large sack. 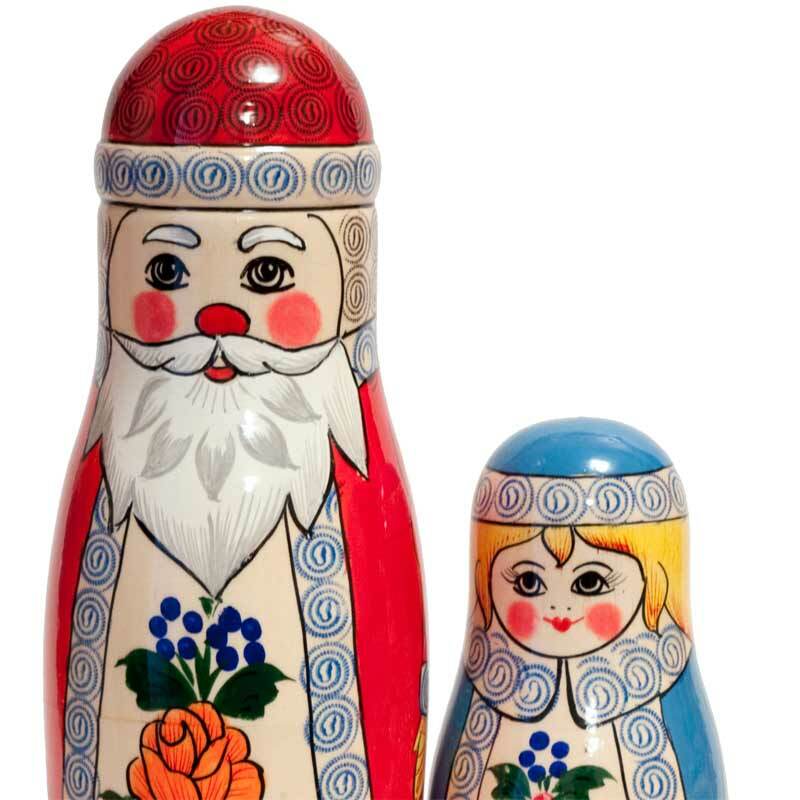 Then goes a sack with three animals inside - Hare, Fox and Bear - they are from most popular Russian tales. Town Semionov is a small town located near Nizniy Novgorod, this region is known by old traditions of Russian wood crafts. Now these old tradition are still alive and carefully cherished. 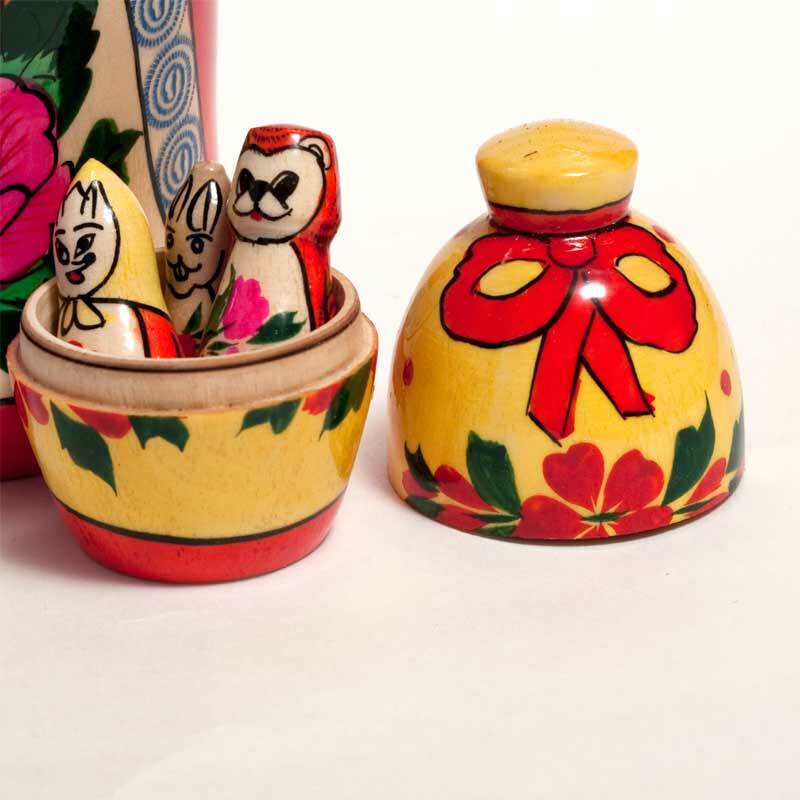 These nested dolls are produced at the "Semionov rospis" ("Semionovo painting") factory that actually organized individual crafters and artists. 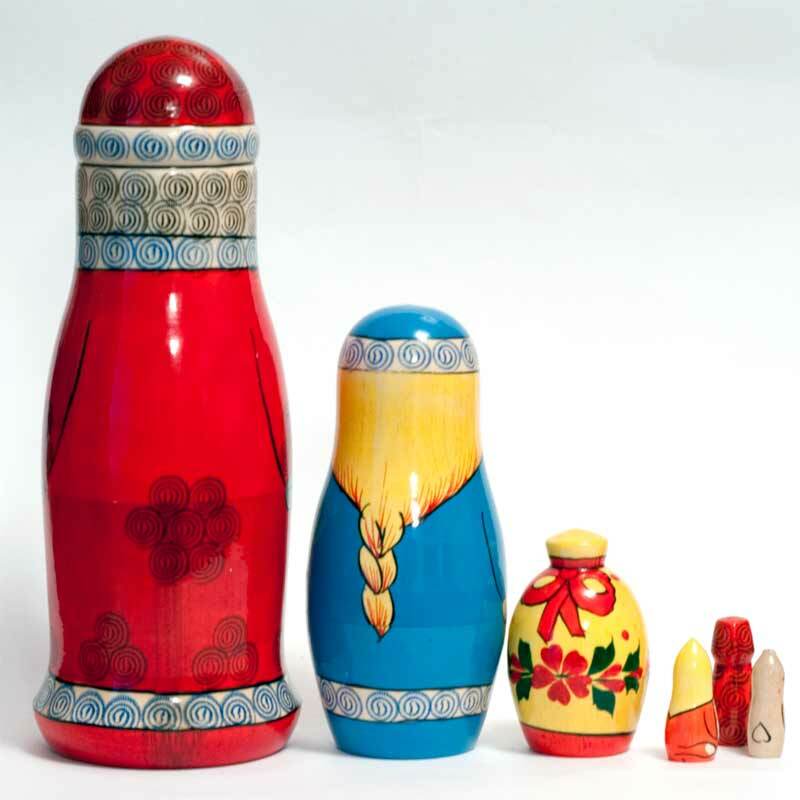 Each matryoshka doll is painted manually so each of them has its own individual spirit and aura.